"In your teens you feel you can drive that car as fast as you can and you won't come off at the bend. In your twenties, you have some near misses. In your thirties you realise you are in danger. And in your forties, I think you're just really glad if you wake up in the morning"
Any anecdote yet for your fifties? Happy Birthday, Bono. We love you! oh and also for Jordan! Make the writings at school today! 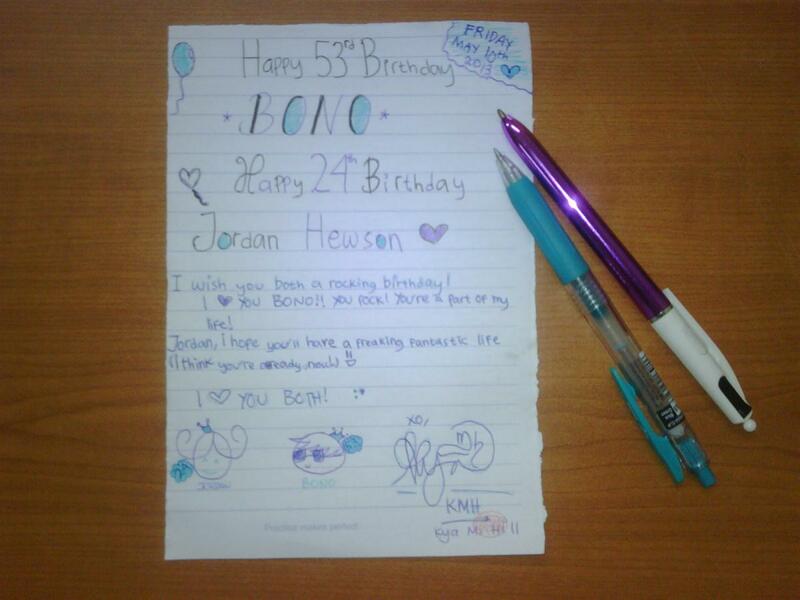 HAPPY BIRTHDAY BONO and JORDAN! hope you will have a rocking,blasting birthday with your daughter..
thanks for inspiring me all this time, help get through my teenage times.. Enjoy your special day, B! You make this world a better place. Happy Birthday Bono. What a man! Hes probably having a big hearty breakfast ready for tonight !! Happy birthday, Bono and Jordan. Have much joy and a great celebration on this beautiful day! 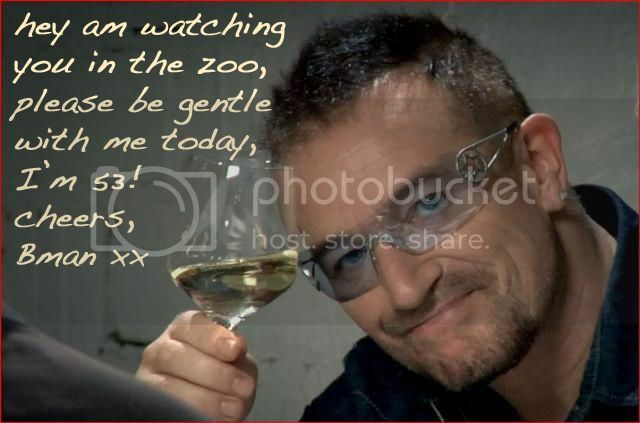 Happy Birthday Bono! Thank you for everything! 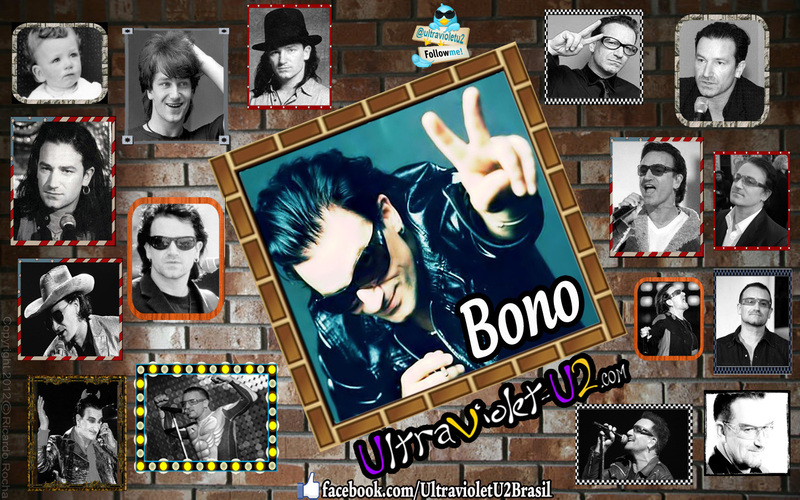 Happy birthday Bono! Enjoy your day! Happy B-day to Bono and Jordan! Happy Birthday wishes to a superb being, inside and out. On with the music! Your Music is lifesaving to so many souls out here. God has sent his angels, U2.